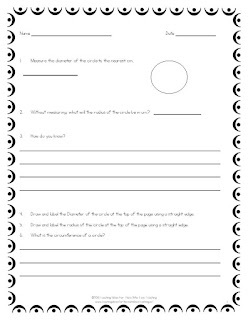 Years ago I was inspired by a teacher who loved to incorporate literacy into all of her teaching subjects. She inspired me to do the same. 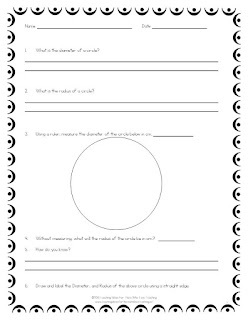 I learned about the Sir Cumference series by Cindy Neuschwander. If you've never read them, check one out of the library! There are several, and each one tells a cute story about the knight Sir Cumference and his family (his wife is lady Di of Ameter). The stories truly help students understand geometric concepts. I love sharing all of her stories with my class. Each year, they're always a little confused when I begin a math lesson with a read aloud. They always get a kick out of it though. 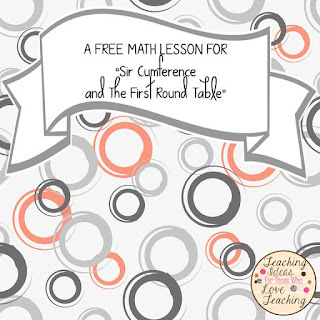 Here is a freebie I wrote to go with the story "Sir Cumference and the First Round Table". Enjoy!